Home Grapeland Family History Davis, Edward & John A.
Bradford Davis, a pioneer, who met a tragic death at the hands of Indians came to Texas in 1839, from Jefferson County, Mississippiand settled on a tract of land in Houston County. He and his friend Joel T. Leathers were not only farmers, but bee hunters. They had baited the bees with some honey placed on a pole. Early one morning they visited the bait and Leathers discovered the Indians had been there. They ran for their horses. Leathers got away, but the Indians killed Davis. He left three children, two in Mississippi,Bradford, Jr. and James F. Davis. The oldest, John A. Davis came to Texas with him. After his father’s death, John attended school in Crockett and Judge A.E. Gossett became his guardian. John A. Davis married Isabella Wingate II and had six children. Four children died young. John A. Davis and Edward W. Davis lived for many years. John A. Davis, Sr. lived eight miles west of Grapeland on a grant of land-1600 acres given to Isabella Wingate, whose husband was a Texas Hero. John A. Davis farmed this land grew cotton and food. He had a cotton gin run by waterwheel. He sent cotton and food on barges down the Trinity River to the soldiers during the Civil War. During the Texas Centennial, the state of Texas placed a monument at the graves of these early heroes. Isabella Wingate’s husband, Edward Wingate, was killed at Goliad, when Santa Anna, the Mexican general, rushed the Texas Company at Goliad early one morning and killed one hundred men or more. His wife, Isabella Wingate came from Montgomery, Alabama and settled in Crockett, with three daughters, Isabella, Patience and Elizabeth. John A. Davis married Isabella II. Isabella I was buried in the Davis Family cemetery where the monument was placed. John A. Davis and Edward W. Davis moved to Grapeland in 1890 and had a part in its development. John A. Davis was Justice of the Peace here for forty years and was also in real estate. He married Lula Sadler, from near Palestine and they had seven children: Lorena, Jewell, Arthur, Nat, Anabel, Ima and Esther. He and his family were members of the Methodist Church. 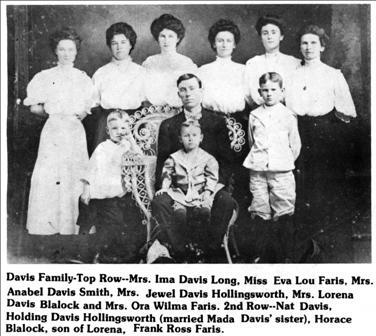 Edward W. Davis married Lucinda Sheridan of Augusta and they had eight children: Olan,Clyde, Adelle, John Henry, Eula Mae, Winnie, Edwin and Leroy. Winne Davis Newman still lives in Grapeland. 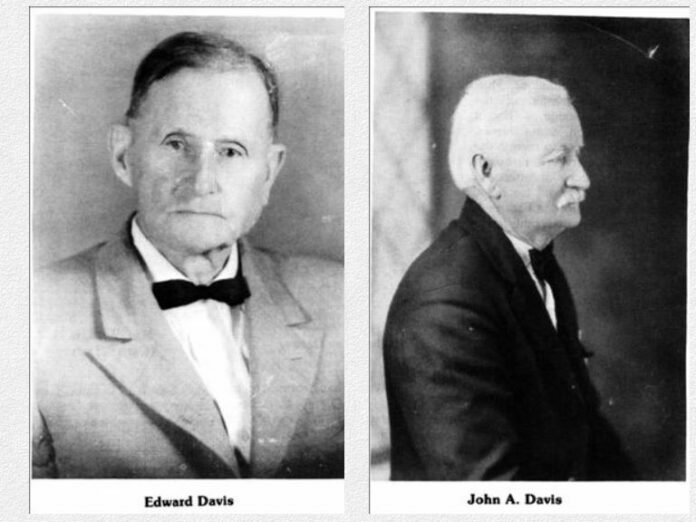 Edward W. Davis helped build the Christian Church, of which he and his family were members. He was the first Public Cotton Weigher, and served as Justice of the Peace after his brother’s death. John A. lived 75 years and Edward lived 90 years. The children and grand children of which there are many, enjoy coming to Grapeland and visiting the old home. You see, memories help to build a better nation, state, county, and city. 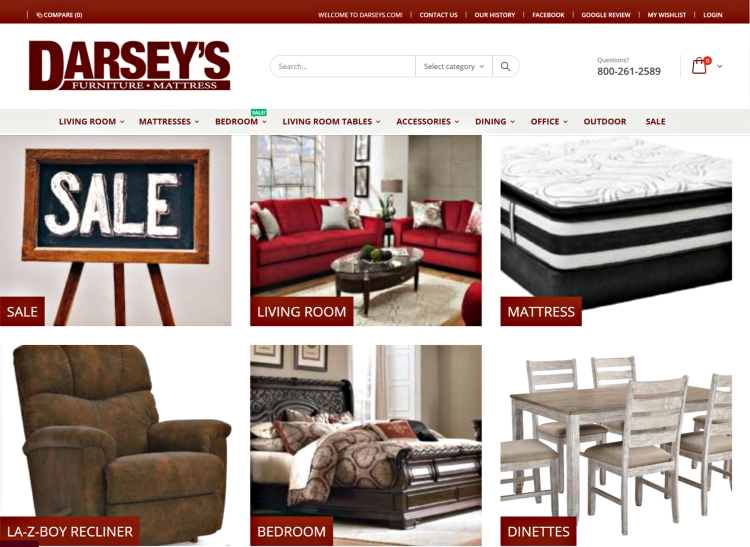 We take pride in our town and feel in a small way, we had a part in its development.